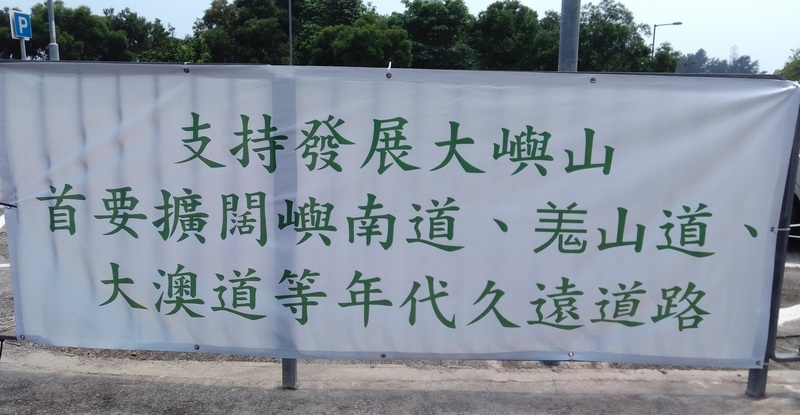 A series of banners promoting the government’s ‘develop Lantau’ message have popped up all over South Lantau in the last three days. The unusual feature is that no one has put their name to them. What’s also unusual is that, unlike the government grand plan that includes inflatable water toys, cable cars and artificial islands, these messages include practical ideas that could improve people’s lives, like better internet and a functioning sewage system. That said, these promotions are on the same page with the government on conservation, with one banner asserting that environmental protection should not take precedence over development. Photos and translations of ten of the banners below. Thanks Rob. 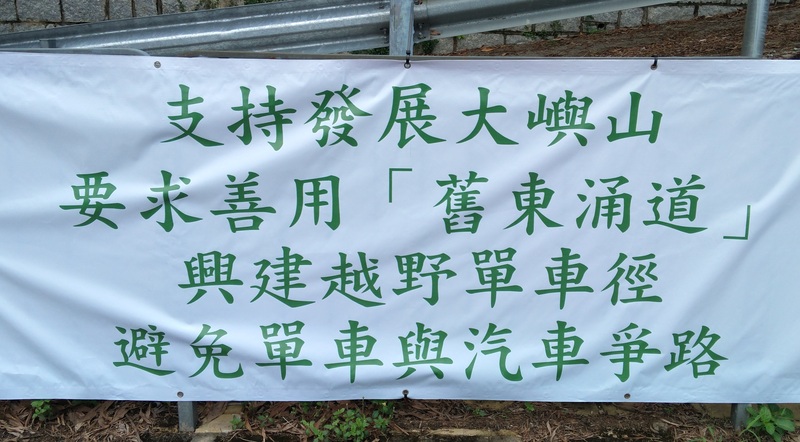 There are a couple more around Ham Tin / Pui O promoting the improvement of the Chi Ma Wan Road and the redevelopment of the Chi Ma Wan prison. Thanks Rob. 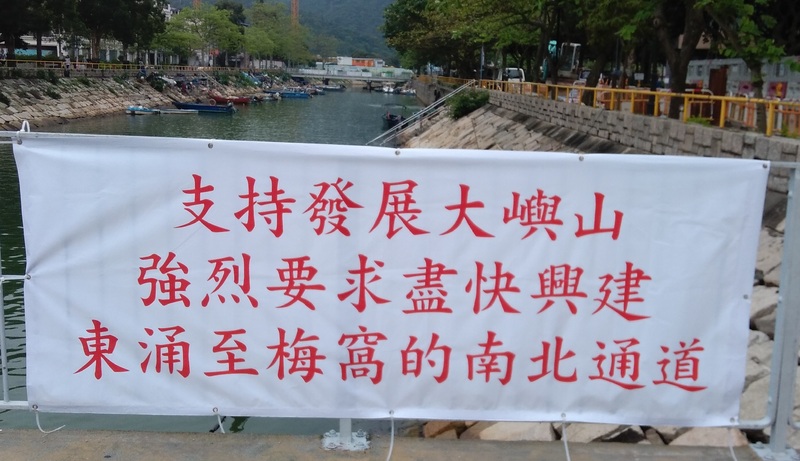 There are a couple more around Ham Tin / Pui O promoting the improvement of the Chi Ma Wan Road and the redevelopment of the Chi Ma Wan prison..
Is Chi Ma Wan Prison closed? Yes, for a few years now.